Exploring the philosophical and political challenges of bridging feminist and ecological concerns, Ecofeminism as Politics argues that ecofeminism reaches beyond contemporary social movements as a political synthesis of four revolutions in one, taking in ecology, feminism, socialism, and postcolonial struggle. Informed by a critical postmodern reading of Marxism, Ecofeminism as Politics integrates discourses on science, the body, culture, nature, and political economy. 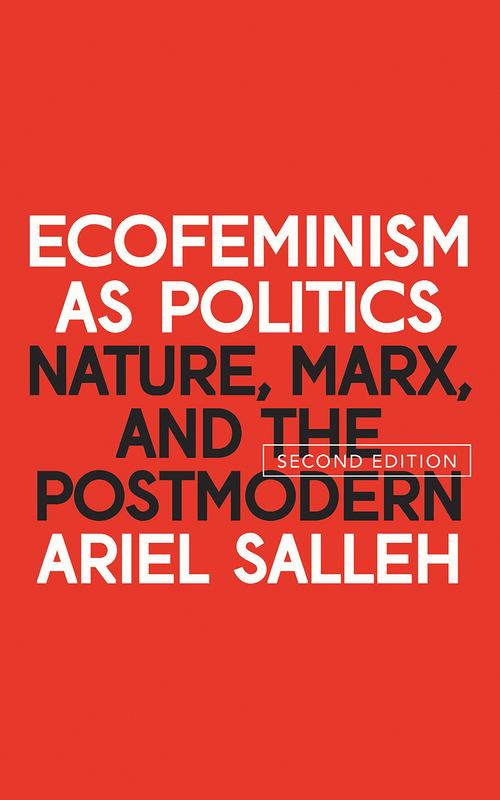 Highlighting the importance of finding commonalities between ecofeminist and indigenous struggles, Salleh offers a groundbreaking discussion of deep ecology, social ecology, eco-socialism, and postmodern feminism through the lens of an ecofeminist deconstruction. "Perhaps Zed Books, in choosing to republish her book 20 years after it first came out, understood that Salleh's Ecofeminism as Politics was ahead of its time. . . . She is accurate when she observes that patriarchy impairs both left and right political thought. Regardless of political viewpoints, men must stop treating Earth like an inexhaustible larder and learn from those who nurture life, rather than destroy it."